When we got to the ER, the first thing they wanted to do was start an IV. Logan was severely dehydrated and all his veins were collapsed so they had to try about a dozen times in various places of his body to start the IV. They took chest x-rays that came back showing nothing in his chest. They took blood. The results came back that his blood sugar was over 600. They told us that we needed to be transferred to the Golisano Children’s Hospital at Upstate Medical University in Syracuse due to the severity of his condition. At this point they started him on an insulin drip and Upstate Medical had a team sent to pick up Logan and transport him. By this time, he had gotten some fluids and was finally starting to get some rest. His color was starting to come back and his breathing was returning to normal. We were admitted and assigned to a room in the ICU unit upon our arrival. A little while later, the doctor came in and told us that Logan had Type 1 Diabetes. We spent the next two days in the Pediatric ICU learning how to care for him from the people at the Joslin Diabetes Center. 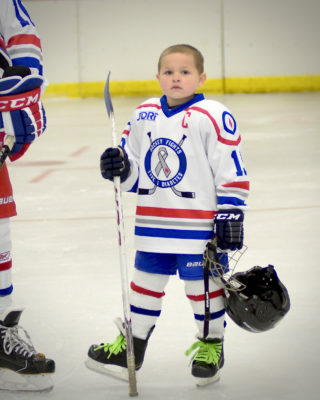 During our education sessions, we learned that his excessive sweating, unquenchable thirst, and frequent urination that Logan had exhibited in the week’s prior were all signs of the Type 1 Diabetes. We had simply passed them off as a very active two year old that caused excessive sweating and was drinking a lot, and because he was drinking a lot, he was wetting the bed. 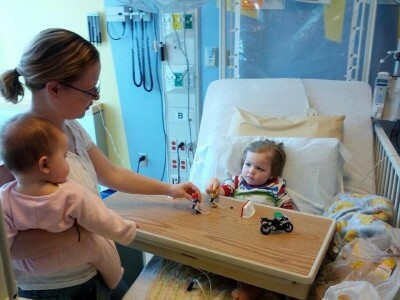 On our 3rd day, Logan’s condition had improved enough for us to be moved out of the ICU. We were released from the Hospital on the 18th. Some days are easier than others. He has become very good with having his blood sugar checked 8-10 times a day and even to due the checks himself. After about 6 months, we have switched from doing his 4 insulin injections a day to an insulin pump that provides insulin into is body via small tube under his skin that is changed every 3 days. It has been a tremendous change in our lives. What used to be one of us holding him down while the other gave him injections as he kicked and screamed has turned into just a few easy button presses as he stands a few feet away. It has made it so much easier to manage his disease. Another thing that we have started using is the Dexcom Continuous Glucose Monitor that checks his blood sugar every 5 minutes and displays it on a receiver. This allows us to see trends in his blood sugar. It will also alarm us if he goes high or low. 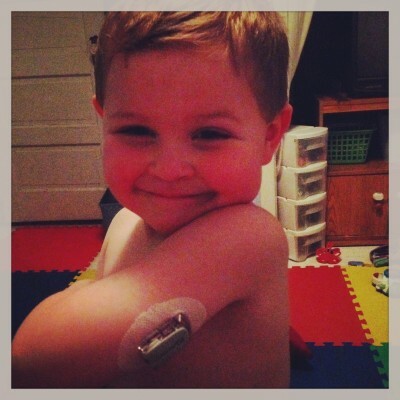 We hope one day that there will be a cure for Type 1 Diabetes and Logan will be able to say that he used to have diabetes!